Is John MacArthur a Seventh Day Adventist? You Decide! SOURCE: Dr. John MacArthur, Grace To You, an updated quote from his book 'Hard To Believe', page 93. Is that Biblical? No, it is not. MacArthur foolishly teaches that it is hard to become a Christian, because he says it will cost you your life of worldliness, sinful bad habits and selfish ambitions to make your faith valid. Clearly he does not believe that faith alone in Christ is enough to be saved. MacArthur deceitful says that mere words won't save, which is true if they are insincere words; however, the thief on the cross was saved immediately when he spoke the words, “Remember me” to Jesus (Luke 23:42). We are saved solely by faith in Christ, which may or may not be expressed by words. Words are not required to be saved. We are saved the moment we believe in our heart that Jesus is the Christ Who died FOR OUR SINS on the cross and rose (1st Corinthians 15:1-4). The Devil is so subtle. False prophets know that adding works to salvation is blatant heresy, a lie. So what they do is instead say that you're saved by grace through faith, but your faith is not valid unless there are works to make that faith credible (or to authenticate it). This is a backdoor approach to a works-based salvation. How can a gift be difficult to obtain? How can eternal life be free while at the same time costing us our life as MacArthur claims? Faith is not simply looking at a distant, historical Jesus. Rather, it is responding to His invitation to "follow me." That is how I become a disciple. It is by accepting the obligation to live a life of discipleship that faith becomes obedience. Surely this is what Mrs. White meant when she wrote that the faith that leads to salvation "is not a mere intellectual assent to the truth. . . . 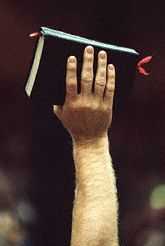 The only faith that will benefit us is that which embraces Him as a personal Saviour" (ibid., p. 347). "To have faith means to find and accept the gospel treasure, with all the obligations which it imposes" (Christ's Object Lessons, p. 112). Do you see that? John MacArthur almost word-for-word teaches the same exact Satanic gospel as do the Seventh Day Adventists!!! Heresy! Salvation is not “accepting the obligation to live a life of discipleship.” This negates the gift of God. Romans 4:5 plainly teaches, “But to him that worketh not, but believeth on him that justifieth the ungodly, his faith is counted for righteousness.” SDA's ignore and disregard Romans 4:5. Salvation is without works of self-righteousness. The man who believes on Christ is saved, because his faith is COUNTED for righteousness. I tell you plainly that Seventh-Day Adventism is straight out of the pits of Hell. In Biblical Salvation the Burden Rests 100% Upon Jesus Christ! John 20:31, "But these are written, that ye might believe that Jesus is the Christ, the Son of God; and that believing ye might have life through his name." 1st Corinthians 15:1-4, "Moreover, brethren, I declare unto you the gospel which I preached unto you, which also ye have received, and wherein ye stand; By which also ye are saved, if ye keep in memory what I preached unto you, unless ye have believed in vain. For I delivered unto you first of all that which I also received, how that Christ died for our sins according to the scriptures; And that he was buried, and that he rose again the third day according to the scriptures." The gospel is so simple... Jesus died, was buried and rose for our sins (1st Corinthians 15:1-4). Do you believe? You must come as a hell-deserving sinner, for why else would you need a Savior? Receive Jesus now, believing that He is the Christ, the Son of God and you will be saved eternally. That is God's PROMISE (Titus 1:2). For John MacArthur to teach that salvation comes from a life lived in obedience and service to Christ, sinfully boasts that salvation comes from something that man does (Ephesians 2:8-9). Whereas Roman Catholics say to DO GOOD WORKS to be saved; Calvinists and Lordship Salvationists say to NOT DO BAD WORKS to be saved. BOTH are false gospels centering around WORKS for salvation, but Romans 4:5 tell us that salvation is to him that WORKETH NOT. The Bible says that salvation is “not of yourselves... not of works, lest any man should boast” (Ephesians 2:8-9). Ray Comfort does “err, not knowing the scriptures” (Matthew 22:29) concerning Matthew 7:22-23. Mr. Comfort would errantly lead us to believe that the religious group in Matthew 7:22-23 were not saved because of “quick fix” evangelism, but that is not the truth at all. In fact, the “quick fix” of trusting Jesus Christ is exactly what they needed. If you know that you're a sinner and trust upon the name of Jesus, believing that He is the Christ (Who died, was buried and rose again), then you are saved my friend (Acts 10:43; John 20:31; Galatians 3:26). Paul Washer's gospel is arbitrary, conditional, uncertain... how much sin means that a person who trusts Christ is not really saved? All three of these men are Calvinists. John MacArthur boasts of being a 5-point Calvinist (but he's a 5-point heretic!). 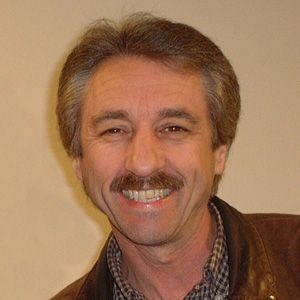 Ray Comfort doesn't believe that God loves sinners. That's the same garbage theology that John Calvin, Fred Phelps and John MacArthur teach. Yes, the "God Hates Homos" hateful preacher from Kansas who's all over the news is a staunch Calvinist!!! I tell you, Calvinism is of the Devil. And so is Arminianism. Jesus commanded for us to SEARCH THE SCRIPTURES (John 5:39); not read the writings of flawed men such as John Calvin and Jacob Arminius. Neither man was doctrinally correct in all their teachings. John MacArthur, Kirk Cameron, Ray Comfort and Paul Washer all teach garbage theology!!! The Bible says in Revelation 14:13, “And I heard a voice from heaven saying unto me, Write, Blessed are the dead which die in the Lord from henceforth: Yea, saith the Spirit, that they may rest from their labours; and their works do follow them.” The Bible speaks of resting from our LABORS. Are you laboring for Christ? The Apostle Paul said in 2nd Corinthians 5:9 that he labored for the Lord that he might be ACCEPTED OF HIM on judgment Day. 2nd Corinthians 5:11 mentions the TERROR OF THE LORD for those believers who are disobedient and waste their life, talents, gifts, and resources; never doing anything to serve Christ here on earth. Revelation 22:17, "And the Spirit and the bride say, Come. And let him that heareth say, Come. And let him that is athirst come. And whosoever will, let him take the water of life freely." Galatians 1:9 and 2nd Corinthians 11:4, “But though we, or an angel from heaven, preach any other gospel unto you than that which we have preached unto you, let him be accursed... For if he that cometh preacheth another Jesus, whom we have not preached, or if ye receive another spirit, which ye have not received, or another gospel, which ye have not accepted, ye might well bear with him. Catholics Teach the Exact Same Meaning of “Born Again” as Lordship Salvationists!